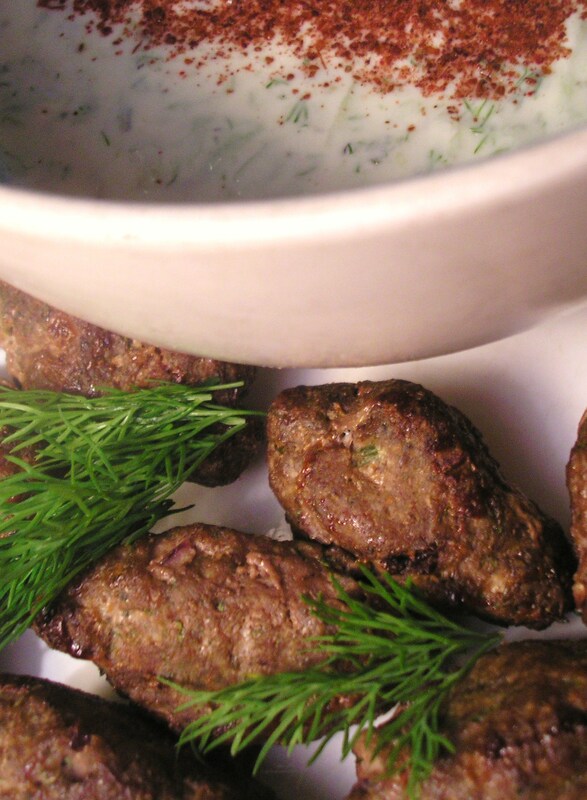 Turkish Kofte or Lebanese Kafta are just a little flavoured meat patty, generally cooked over a grill. There are further variations of these across the Middle East, North Africa, the Mediterranean, India and Pakistan. You could even argue that we have had our own version here in Australia in the much maligned ‘rissole’. Maybe not. The version I make changes all the time, one constant being that I generally use lamb mince. Though I do find they work pretty well with beef, pork or even turkey mince. Place all ingredients in a large bowl. Use your clean hands to mix well. Refrigerate for 1/2 an hour. Mould into small oval shaped patties. Refrigerate 1 hour. Brush with olive oil and place on or under a hot grill. Cook, basting with olive oil and turning regularly until they are nicely brown. Serve with lettuce, tomatoes, yoghurt or tahini sauce and flatbread. Serves 6. It looks so tasty! Yum!